And then, something happens. Something awful and irreversibly life-changing happens in this true-life portrait of an urban marriage threatening to fall apart under the strain of coping with daily vicissitudes. Debutant director Raakhee Sandilya uses her two principal actors to mirror metropolitan mores and meltdowns with masterful vigour and a scrupulous authenticity. 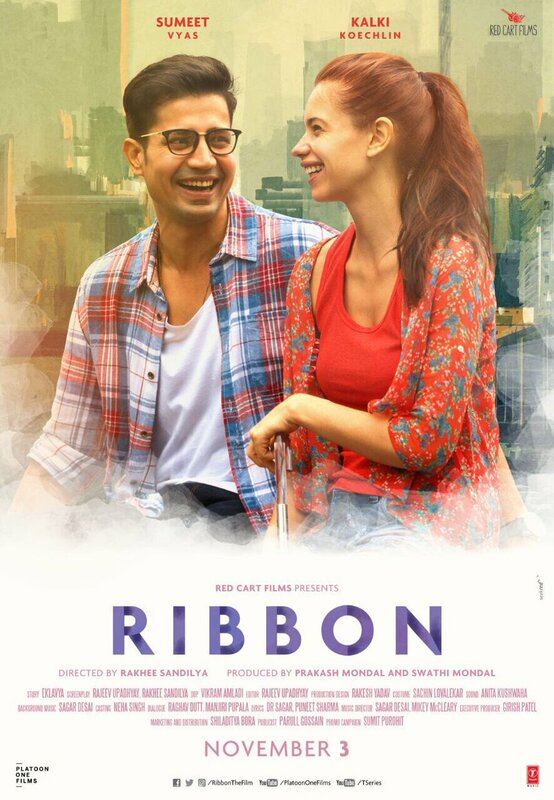 The camera is used not to accentuate or glamorize Mumbai’s suburbia but to simply serve as a functional topography for the lives of the couple Sahana and Karan played with such an absence of bravura and flourish that we forget Kalki and Sumeet Vyas are playing characters who don’t exist beyond the film. At least not in the way we see them here. The authenticity instilled into the couple’s lives is comparable with what Basu Bhattacharya achieved with Rajesh Khanna and Sharmila Tagore in the remarkable portrait of a marriage on the skids in Aavishkar 43 years ago. Director Raakhee Sandilya’s protagonists are not played by stars and one of them has not been seen on the large screen before. Kalki and Sumeet penetrate the lives of their characters with an incredible alacrity. No time is wasted in bringing their lives as close to us as cinematically possible. We enter their lives without fuss or ceremony and we leave them just as quickly, with no room for farewells. Sandilya strips the film of all vanity. There is very little background music to highlight even the highest summits of emotions in the narration, so that we get the feeling of an unpolished raw home video. Hurting and hurtful. Kalki plays the more aggressive partner. And why not? Early in the plot (if one may accuse this film of resorting to plotting devices) Sahana….well, she loses the plot when her seemingly supportive boss turns wary and hostile after she returns from her maternity leave. The scenes of Sahana’s workplace politics make us flinch. Yup, this is what goes on when women workers get too big for their boots. The sequences where the couple deal with their child’s hired ayah abound in the scent of lived-in familiarity. Every working couple silently suffers the tantrums of its house help. Ribbon is a subverted upturned take on all the family films we’ve seen in the 1960s and 70s. If Jeetendra and Leena Chandarvarkar in L V Prasad’s Bidaai were to set up home in Mumbai today, this is what they would have to deal with. If Ribbon was not such a sharply aligned slice-of-life story it would be a horror film, much in the same way that Daron Aronofsky’s Mother is. It is disturbing in its implied critique on the nuclear family where couples choose to keep their parents out. The last 30 minutes of the film is a separate beast, bound to serve up a wallop of shock, disgust and despair in the audience as they watch the couple’s helpless attempts to keep their selflimited world from falling apart. A lot of the scenes between the couple seem so spontaneous and unrehearsed, almost as if the lead pair walked into situations in the script that they had inherited from a couple who lived there before them. Ribbon captures the rhythms of metropolitan life with such a vehement repudiation of drama that I often forgot I was watching fiction. Ribbon has its share of flaws. So relentless is the focus on the protagonists’ lives that we barely get a glimpse in the lives of the other (interesting but sketchy) characters, like Sahana’s friend or Karan’s father or the babysitter-ayah who evidently leads a life as adventurous as her employers’ lives, if not more. But that, some other time. 16 queries in 0.676 seconds.